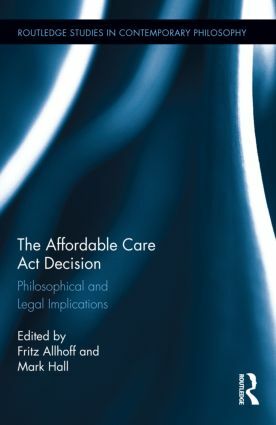 Fritz Allhoff and Mark Hall, The Affordable Care Act Decision: Philosophical and Legal Implications (New York: Routledge, 2014). Hardback, xi+345pp. Paperback (2017), xi+345 pp. Choice Outstanding Academic Title (2014).